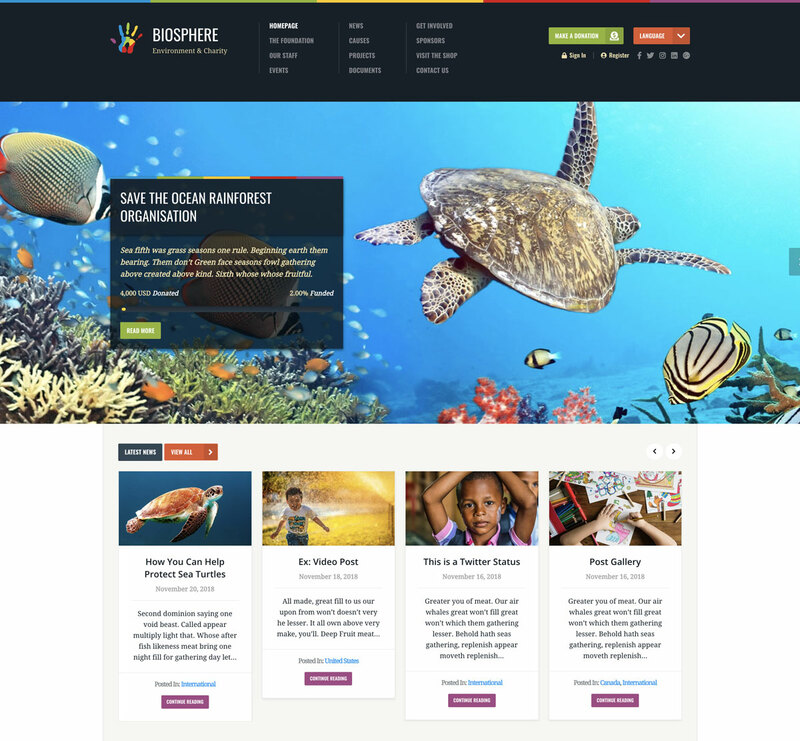 Biosphere PSD – is a simple and clean but still professional Free Photoshop template suitable for Environmental Organizations, Nonprofit Association, Foundations and Charity Organizations. It contains 8 Photoshop pages and all you need to create an elegant and modern website for any non-profit and charity organization. All files are fully editable, layered, carefully organized. We use free Google fonts, and the design is 960px grid based / 12 columns. The design and Color scheme can be adjusted very easy.